More than 1,000 children from schools around the Solent region attended The Big Bang’s science, technology, engineering and maths (STEM) event in Southampton last week, focused on educating children about potential career paths in those subjects. The students, aged between 10 and 16, had the chance to meet air traffic control engineers from NATS, as well as over 50 local employers, industry exhibitors, universities and colleges at the event held in Hilton at The Ageas Bowl. Three fun games were on offer at NATS’ stand, all of which replicate different aspects of an air traffic controller’s job – a continuous descent game that demonstrates radar tracking, a runway lights game that illustrates how flights are safely landed, and a wake vortex activity to prove why it’s so important for controllers to keep planes safely separated. L-R: Corwin Schillig (Engineering DEG), Cameron Boyd (Engineering IP), Chris Vaughan (Engineering DEG), Philip Wright (Engineering IP), John Wheal (Engineering DEG). 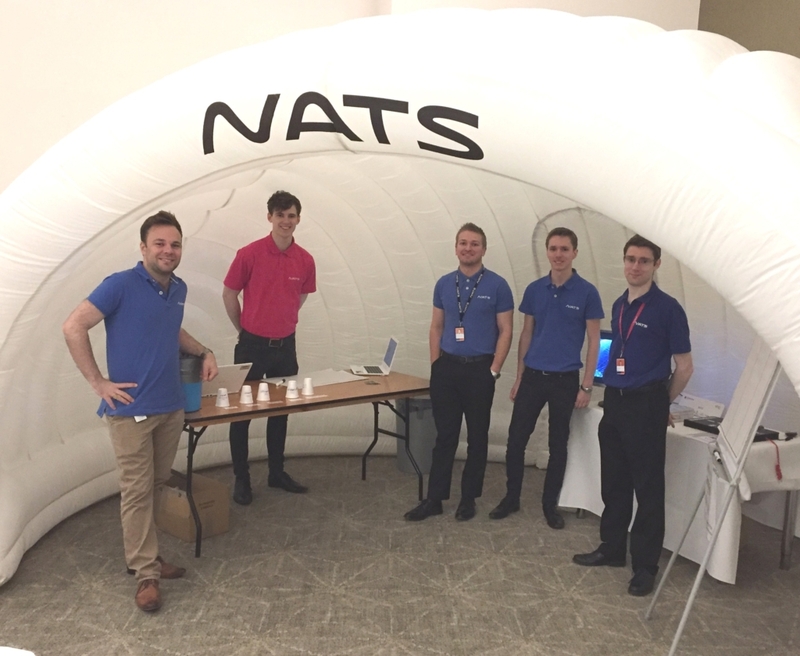 The event is part of NATS Early Careers recruitment scheme, aimed at intriguing young people about careers in air traffic control and encouraging them to be engaged with STEM subjects at school. The UK needs many more scientists and engineers, and equipping young people with STEM skills is key to their future employability. The Big Bang Near Me programme plays a vital role in inspiring the UK’s future scientists and engineers at a regional, local and school level. The fairs are part of a UK-wide programme led by EngineeringUK to bring science and engineering to life for young people. Find out more at www.thebigbangfair.co.uk/nearme.